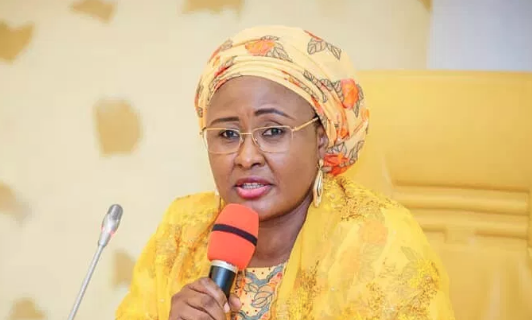 Aisha Buhari Aisha was represented by Retired Brig.-Gen. Buba Marwa, Chairman, Central Working Committee of the APC, Women and Youth Presidential Campaign Team at the event. She stressed that the meeting was to discuss governance with the union’s leadership and steps to be taken by the Buhari led administration to address the plight of the common man. Aisha said Buhari in the last three and half years had led the country by example and had proved to be an incorruptible leader. This, she added, was the secret of his success in governance. She noted that with regards to security, motor parks in the country had had been secured compared to the past when bombs blasts were daily occurrences. He assured that members of the union would on Saturday, exercise their franchise by voting for the right candidate. He added that the union had already signed a Memorandum of Understanding (MoU) with the Independent National Electoral Commission (INEC). He added that as part of the MoU, members of the union were expected to assist in distributing electoral materials to states ahead of the election.